It was both a heart wrenching loss and an inspirational defeat on Saturday as the Guelph Storm fell 2-1 to the powerful London Knights on national TV. 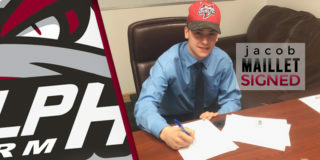 The Knights, with recent additions of future NHL stars Evan Bouchard (Edmonton) and Alex Formenton (Ottawa), have been tabbed as the team to beat in the Ontario Hockey League, but the Storm showed they aren’t ready to capitulate just yet. 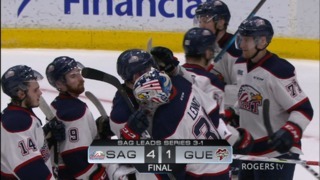 In a tight but exciting game with a playoff type atmosphere, the Storm held a 1-0 lead until the final few minutes of the game when the Knights tied the contest and then went on to win it in a shootout. 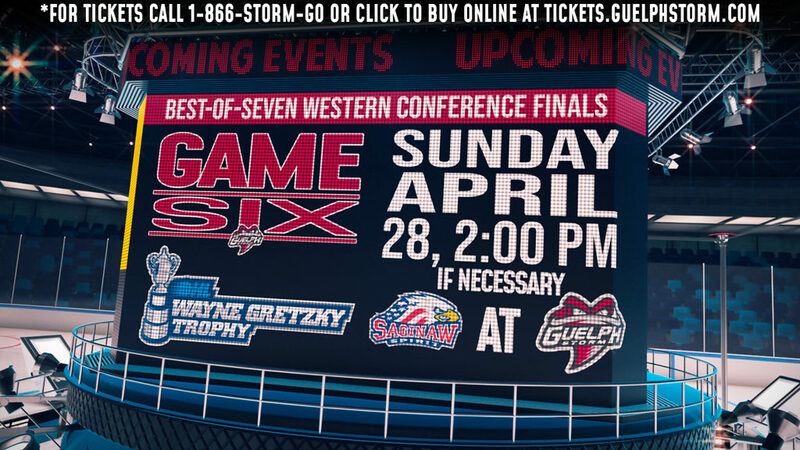 Guelph Storm coach and GM George Burnett felt it was a bit of a measuring stick type game for his crew. Overtime and the shootout have been a real bugaboo for the Storm this season. They have lost three games in a shootout and three in overtime basically leaving them with a .500 record with 11 wins and 11 losses. They have picked up six loser points in those contests, but had they won just three of those six games, they’d be no worse than tied for first in their division. Guelph opened the weekend with an 8-2 win over the hapless Flint Firebirds Friday night. Guelph led 6-1 seventeen minutes into the game. But Saturday’s effort against London was their best of the season. 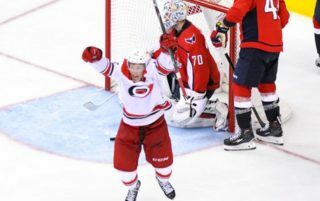 They played a tight checking, opportunistic game and received great goaltending from Anthony Popovich who has been much better over the past two weeks. It was a sign to fans that the home side can in fact pay well when they want to. From the Land of Oz … The line of Barret Kirwin, Cedric Ralph and Zach Poirier was the club’s best line all weekend. They combined for 11 points in the two games … Rookie Ben McFarlane played his first OHL game Friday night and looked right at home. He is listed generously at 5’7” but never stops working. 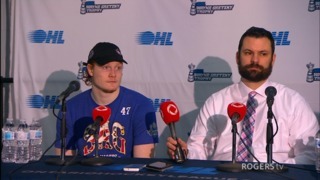 Like many smaller players he was always told he was too small to make it to the OHL. “My secret was that I decided on who I wanted to listen to and who I thought would improve my game. 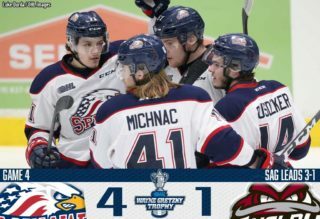 (Playing my first OHL game) has been my dream since I was a little kid so it was nice to have it finally come true.” He almost scored his first goal too; ringing a shot off the post … Guelph hosts Sault Ste. Marie Friday night before hitting the road for Barrie Saturday and North Bay Sunday.